Daido Moriyama is one of the few living modern masters of photography from Japan. Part of Japan’s Provoke Movement in the 1960’s, Moriyama sought to engender political and cultural dialogue with his photographs. His photographs and photography books are some of the most sought after by distinguished collectors. Daido Moriyama was born in 1938 in Osaka, where he studied photography before moving to Tokyo in 1961. There, having worked as an assistant to Eikoh Hosoe, a Japanese photographer and filmmaker, he began to produce his own collection of photographs depicting the forgotten areas and darker side of cities. Shortly afterwards, he was awarded the New Artist Award from the Japan Photo-Critics Association. Moriyama's images are now noted for capturing the breakdown in Japan's traditions. His work captures life during and following the American occupation of Japan after World War II, in particular the effects of industrialisation and the consequential shift in urban life in which some areas were left behind the rapidly changing city. Predominantly, Moriyama's work is black and white with shades of grey and this, along with the dark and grainy style of his photographs, echoes the subject matter. 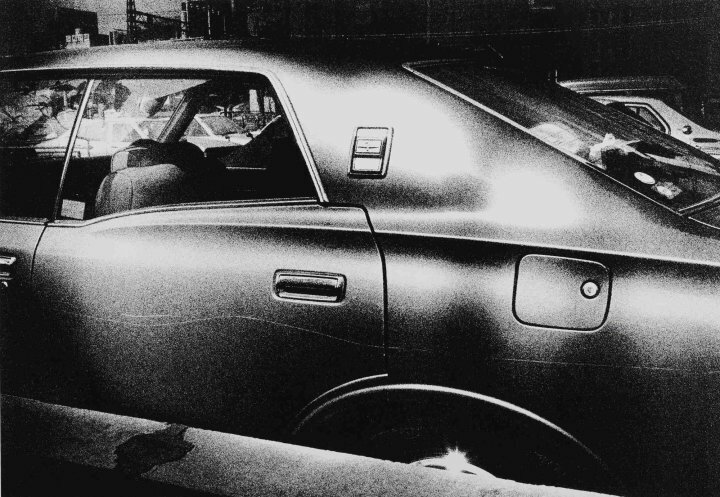 However, Moriyama's complete works also include colour, Polaroids, screenprints, films, installations and now silkscreens. Moriyama has global recognition, with a record of solo and group exhibitions worldwide, including a joint retrospective with William Klein at Tate Modern, 2012. He has published a variety of photobooks and photo-essays and his work is held in multiple collections, both public and private.